How much money is enough money to retire in India? Rs.1 crore, Rs.5 crore or Rs.10 crore? Well, that’s just the beginning of your retirement income story. Ask yourself, when you want to start your withdrawals. In case, you have an Employee Provident Fund (EPF), you need to plan your Systematic Withdrawal Plan (SWP), in coordination with your pension. Seek fi nancial advice. 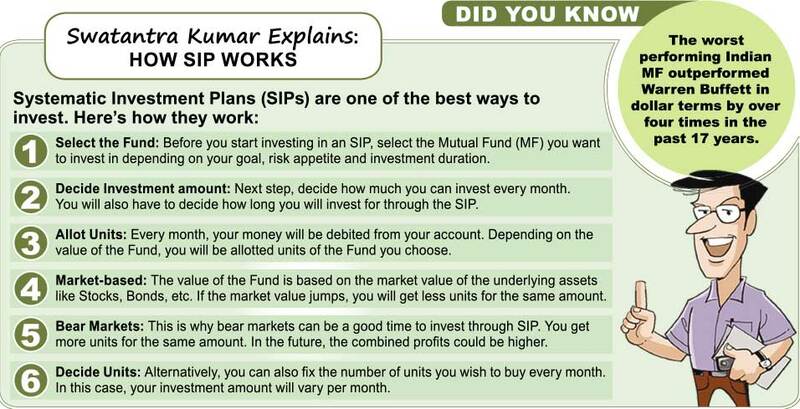 Discuss the Funds you may start your SWP in, w.r.t. your expectation about returns and your appetite for risk. You can set up a monthly SWP of Rs.10,000. This is 0.06% of your corpus. You can even divide it into 2 Funds of Rs.5,000 each. Check different Funds and their annualised returns. Ideally, you may choose Funds that deliver more than 10% returns. Use digital tools like SWP calculator, to get a better idea about your SWP. Fill the SWP form and inform your broker/financial advisor about the income you expect to derive from your investments. Tell your broker or financial advisor about the Funds from which you wish to withdraw. Consider your Tax liabilities as well. After you have set up your SWP, the asset sales will keep happening automatically. Modify your withdrawals whenever needed. Completed these 8 steps? Congrats! You are on top of your finances. You can now go forward and have a stress-free retired life.